Merry Christmas! I hope you are having a wonderful holiday season! I am thankful that my family was blessed with another happy and healthy Christmas Day! I wanted to share with you how our family counted down the days until Christmas. This year's countdown came as a result of not wanting to spend money on another Lego Advent Calendar. (Even though last year's DIY Lego Harry Potter Advent Calendar was pretty epic!) I called this year's countdown, Draw Your Own Advent Calendar. It was simply that. My children drew their own pictures every day based upon the day's assignment. I painted one of our large living room windows to look like a Christmas tree and then taped on envelopes, numbered from 1-25. The envelopes I used were ones that were once used in the back of library books. (However, I would think you could use a regular #10 envelope cut in half.) 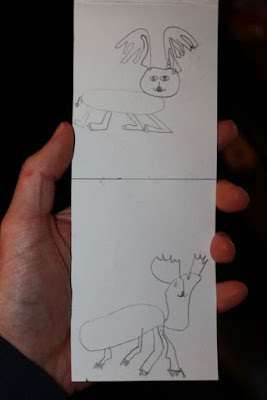 Then, I placed a blank piece of paper in each envelope. At the bottom of each piece of paper I wrote the day's drawing assignment. 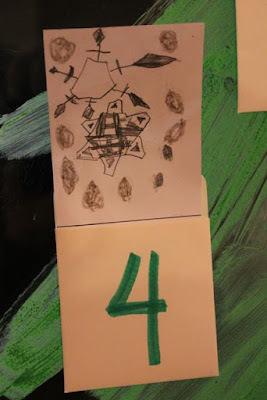 Day #4: Snowflakes (drawn by my oldest son). 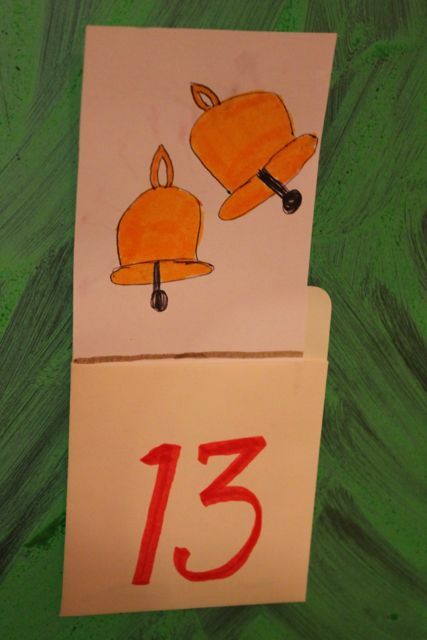 Day #13: Bells (drawn by my oldest daughter). 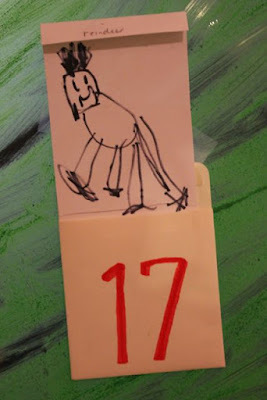 Day #17: Reindeer (drawn by my youngest daughter). I have four children. So we utilized the whole paper, front and back, top and bottom, by drawing a line in the middle. 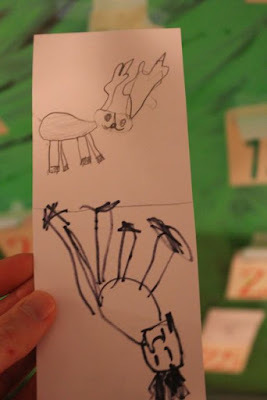 The card could be flipped to display another drawing at any time. The reindeer assignment was one of the best days! All of their drawings were great. One thing you will encounter, if you try this in your house, is that your kiddos will forget to flip the paper. Notice the bottom reindeer -- it would be covered by the envelope if it was placed in like this. And it would be upside-down if flipped to bring it to the top. Oh well, still a great reindeer! 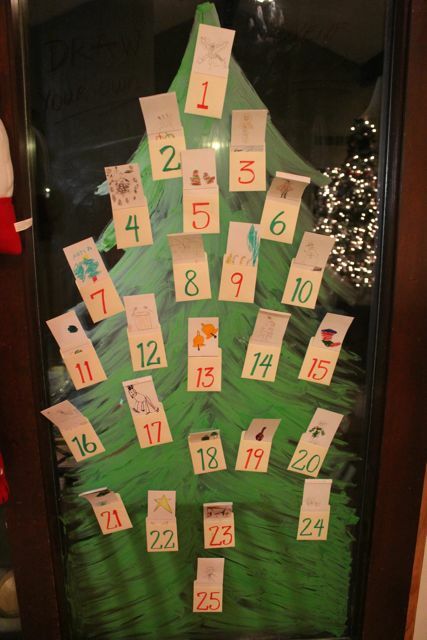 All of my children loved this year's advent calendar. I enjoyed seeing their drawings each day! It was so much fun and it was FREE! !